If you have to turn down a project due to a lack of human resources, how much is it going to cost your business? There is a common misconception that hiring contractors is very expensive but, over time, they could add more value to your business and save or make you money. The key question is, if hiring contractors results in your company winning more business and upskilling your existing permanent workforce, does that initial cost begin to seem more palatable? As recruiters, we understand the big difference between value and cost. Sometimes, what seems like the better, cheaper option can actually take more time and result in strategies having to be re-worked. In hindsight, the option that seemed more expensive would have added true value from the outset and, in real terms, would have cost the business far less. For example, when you hire an independent contractor, although it might cost you more per hour initially to pay them to do the work, the company will not have to be responsible for employee benefits. That huge percentage of payments that you pay for employees gets to stay in your pocket, meaning you can expect to put back 20-30% back into your payroll not having to pay for all those employee benefits. By hiring contractors, your business will have the flexibility to win new contracts, thus building its reputation, client portfolio and income, without the worry of who is going to carry out the work. This allows you to build your permanent workforce in the background. Over the last few years, there has been a notable shift towards IT professionals opting for contract work and here’s why you should embrace the change. Direct costs encountered with a permanent employee are likely to be higher than you think. For example, if you hire a role on a £65,000 annual salary then add in on-costs at 30%, such as insurance compensation, pension schemes, Social Security taxes and healthcare plans, you’re already looking at an £84,000 annual expenditure. Once you’ve added on any necessary recruitment fees, your total cost of a PAYE employee over a full year could be £102,000. If you were to take on a day-rate contractor, you will only pay for the days they spend on site. With 52 weeks in a year, a full time employee will work 260 days. Strike out 25 days’ paid holiday and eight bank holidays, and you’re left with only 227 working days. For 227 days of work, your total costs for a permanent employee will be, on average, £450 per day. Depending on experience, a Java contractor could cost you between £550 and £580 per day. Why should I invest in contractors? Contractors can hit the ground running as they are used to moving from company to company, giving you the ‘people power’ you need to take on projects. Contractors thrive on exciting projects so the bigger or more exclusive your project, the better. Contractors are a flexible resource, which means you will never have to commit to them long term. Like all businesses, you will have busy periods followed by downtime. Therefore, contractors can save you from having to carry permanent staff during slower periods – ideal for businesses that are project-led. The permanent IT market grows more competitive every month. This means you will find contractors much easier to source as there is a constant stream of new candidates coming on to the market and looking for work. Contractors can provide missing expertise and upskill your existing workforce. You might find that you need someone on a short-term basis with a specific skill that isn’t presently available in your workforce. For example, if you hire a Senior Developer contractor with a specific skill set to complete a project within six months, two or three junior developers within your workforce will inevitably learn these skills. This means that next time your business requires that particular skill set, you won’t need to hire new expertise. 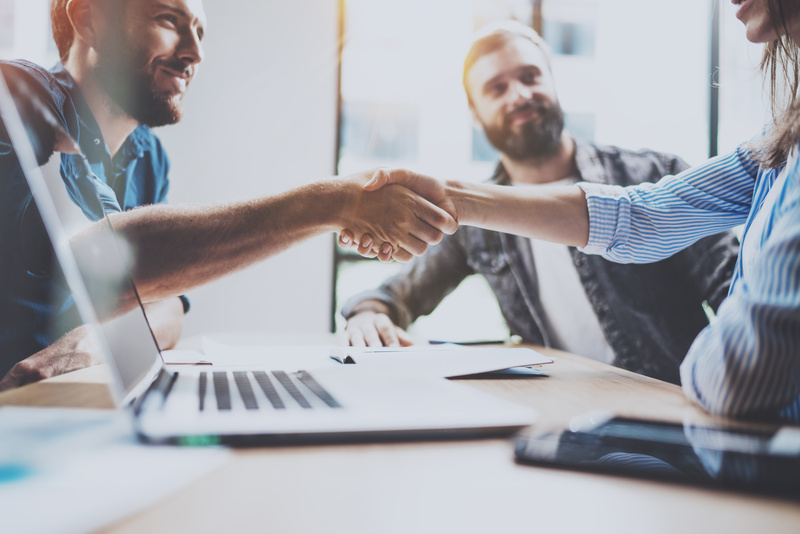 Whether you decide to hire permanent or contract members of staff will depend on many factors but it is important not to rule out contractors altogether, especially if you’re a growing business looking to add value to your clients and existing staff. Click here to view our latest jobs in development. Rupert has more than 10 years’ experience recruiting for and managing teams within the IT industry. He has a wealth of experience in helping to grow IT departments and helping hundreds of businesses, from start-ups to multi-nationals avoid the costly mistake of hiring the wrong people He has a keen interest in how businesses are using technology to help shape our futures; delivering new products and services every day that challenge the way we live our lives, and manages a team of consultants who specialise in understanding what their clients are trying to achieve and not simply the tools they are using to do it.